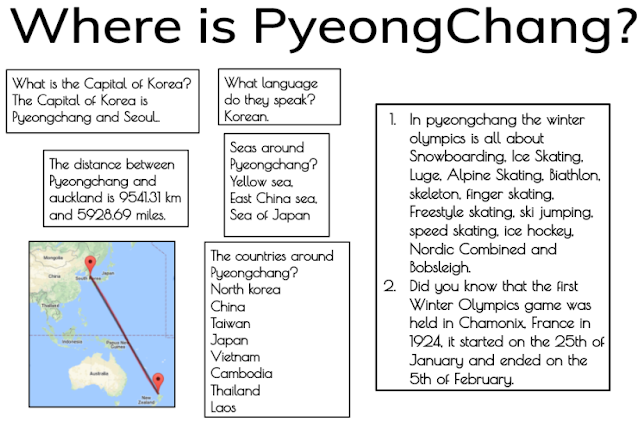 I created this DLO that shows how far away PyeongChang is from Auckland. I now know that PyeongChang is in South Korea. South Korea is a country near the Thailand, which is where I come from. One fact I found really interesting is that, the first Olympics was in Chamonix, France in 1924.